The tour will start at 02.00 PM. 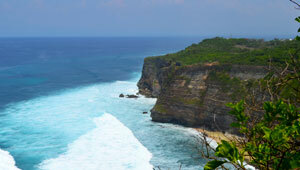 This tour will cover south side of BALI. 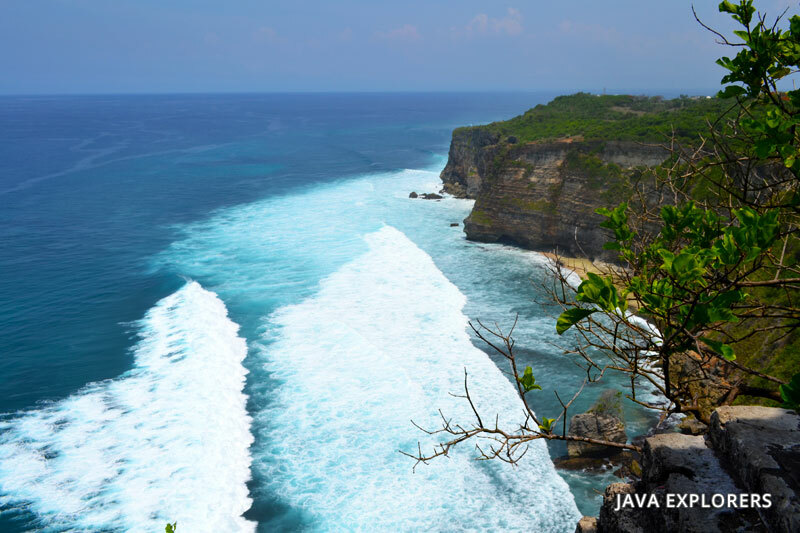 First Will visit the famous temple called ULUWATU Temple. 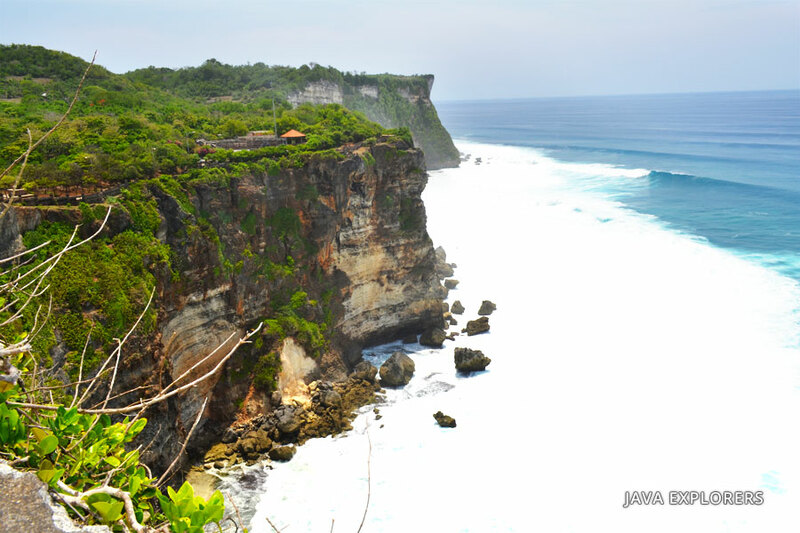 Uluwatu temple is spiritually important to the people of Bali, as it s one of Bali's sacred directional temples (kayangan jagat) protecting the island from evil spirits in the southwest. this proximity to evil, presumably, that compels the temple's guardians to require the wearing of special sashes or sarongs, as they are supposed to protect visitors from evil influences. 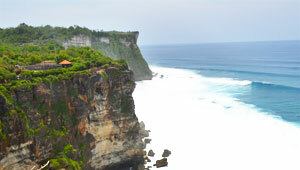 The temple at Uluwatu was built by the Javanese Hindu guru Empu Kuturan in the 10th century. Seven hundred years later, the guru Niratha added further to the temples on the site. 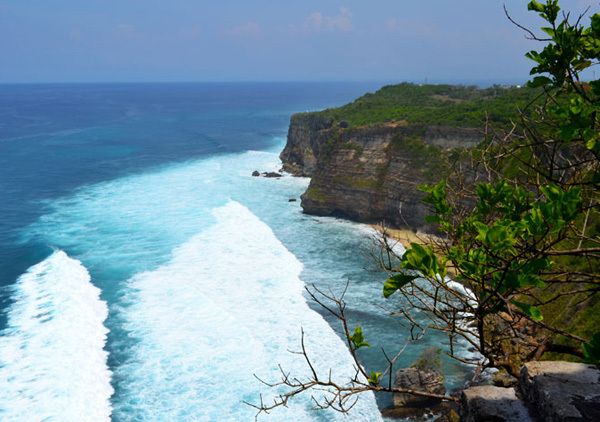 "Ulu" means head, and "Watu" means rock; the temple at "the head of the rock" stands atop a sheer cliff rising two hundred feet above the Indian Ocean. The temple commands a wonderful view of the sea breaking against the base of the cliffs below, and a totally unforgettable sunset. Still on the area of the temple, Local people will present the one of famous dance in BALI. Called Kecak or Fire dance. The performance is Very Simple. The group of men's chorus chants the word Cak ke Cak ke Cak ke Cak ke Cak , in rhythm. Over and over again. The group consists of fifty men's wearing only loin cloths. They form rows of circles in the middle of the coconut oil lamp. The Story presented from the Ramayana Epic. the Hindu epic which finds its expression in many forms, not only in dance, but also in painting and carving. Prince Rama, heir to the throne of the kingdom of Ayodya, and his wife Sita have been banished from the kingdom by King Dasarata as a result of trickery by Rama's stepmother. The story begins with the arrival of Rama and Sita accompanied by Rama's brother Laksmana in the forest of Dandaka. The trio have been observed by the demon Rahwana, King of Alengka, who lusts after the beautiful Sita. Rahwana sends his prime minister Marica to try and isolate Sita so that Rahwana can kidnap her. Marica's magical powers turn him into a golden deer and he enters the forest and when the Sita sees the golden deer she is so enchanted by it that she asks Rama to capture it for her. Rama chases after the deer leaving his brother Laksamana behind with strict instuction to protec Sita. When Sita thinks she hears a cry for help from Rama she forces Laksamana to go after Rama by accusing him of cowardice and he goes off to help Rama with great reluctance after drawing a magic circle on the ground and telling Sita the she should not under any circumstance step out side the circle. Sita, left alone in the forest becomes an easy prey to the trickery of Rahwana who has disguised himself has an old periest and bags Sita for some food as he is cold and hungry. Sita falls for his trick, she steps outside the circle to give the old priest some food and rahwana grabs her and takes her to his palace. Once back in his palace in Alengka, Rahwana tries everything he can to seduce Sita without any luck .In the palace of Alengka, Sita pours out her heart about her cruel fate to Rahwana's niece Trijata, when Hanoman appears telling her that hi is Rama's envoy and proving it by showing her Rama's ring. Sita gives Hanoman a hairpin to show she is still alive and sand him back to Rama with a massage to come to her rescue. In the meantime Rama and Laksamana accompanied by Tualen are wandering in the forest looking for Sita when Meganada, Rahwana's son, appeares and engages Rama and Laksamana in Battle. Meganada uses his magic powers and shoots of an arrow which magically turns in to a dragon which overpowers Rama and Laksamana and they are trussed up in ropes. The bird Garuda, King of all the bird, a good friend of King Dasarata, has observed trouble Rama is in from high up in the sky and comes to the rescue freeing the brothers from the ropes. Rama and Laksamana continue on their way to rescue Sita and are joined by Sugriwa, king of the monkeyes, and his monkey's army. This fragmen of the Ramayana come to an end with the bittle between Sugriwa and his Monkeys Army and Meganada and his Demon Army which ends with the defeat of Meganada.